After a process of thorough screening and due diligence, BtoBet has officialised STM Gaming as its first regional Certified Partner for Africa, with this new partnership being formally presented at ICE Africa, with both companies attending at Stand 1601. Alessandro Pizzolotto, STM’s CEO, stated this consolidated partnership with BtoBet serves as a certification of the successful job that the company has done as an operator throughout the past years in the African market, gaining a wealth of knowledge of the elements that characterize the African market in the process, and now being in a position to assist other operators in starting their turnkey activities in Africa. 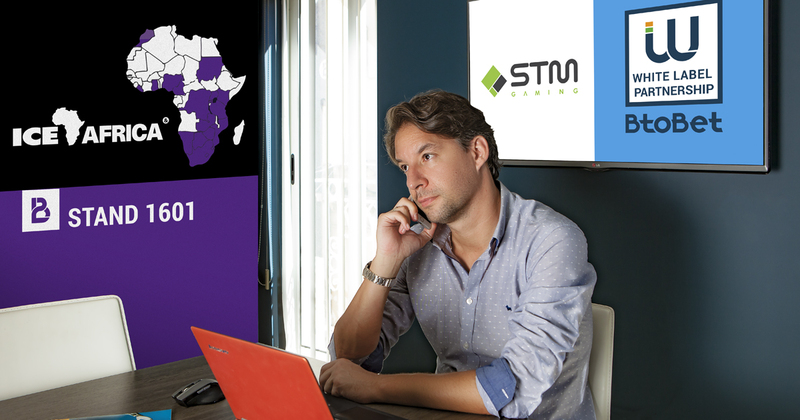 He further indicated that African licensees will surely benefit from this consolidated partnership, with STM Gaming not only providing a simplified version of BtoBet’s technological product, but also taking taking care of the management of their operations, namely player support, license processing, payment methods, gaming content and sportsbook offer. In BtoBet’s latest Industry Report, “Tackling Africa’s Limitations … Making Africa Accessible to the iGaming Industry”, STM’s CEO further stated that iGaming activities will surely benefit from the experience put at their disposal regarding all the challenges that constitute the African scenario. In the meantime, in the relatively short time as BtoBet’s Certified Partner, STM Gaming has already finalised multiple agreements with other companies, and in the past days, with a very short time to market, has launched its first sportsbook and casino turnkey, Ugabet, with its website already up and running seamlessly without any hiccups in Uganda.